Posted on November 26, 2018. Filed under Members News. Be the first to comment. 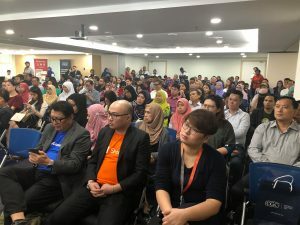 Credit Guarantee Corporation Malaysia Berhad (CGC) in partnership with Malaysia Digital Economy Corporation (MDEC) organised its signature “Go Digital Talk” to upscale and upskill Small and Medium-sized Enterprises (SMEs) leveraging on digital marketing. Over 300 SMEs from various sectors attended the half-day workshop held at CGC headquarters in Kelana Jaya, Selangor recently. Speakers from Alibaba and Shopee shared tips on successful online marketing and digital sales. During the workshop, participants were introduced to new customer acquisition methods and digital marketing solutions in growing their SME business. “Go Digital Talk aims to assist SMEs in digital marketing as this will enhance customers’ acquisitions and strengthen relationships. Technology evolution creates new opportunities by paving borderless market place for products and services. 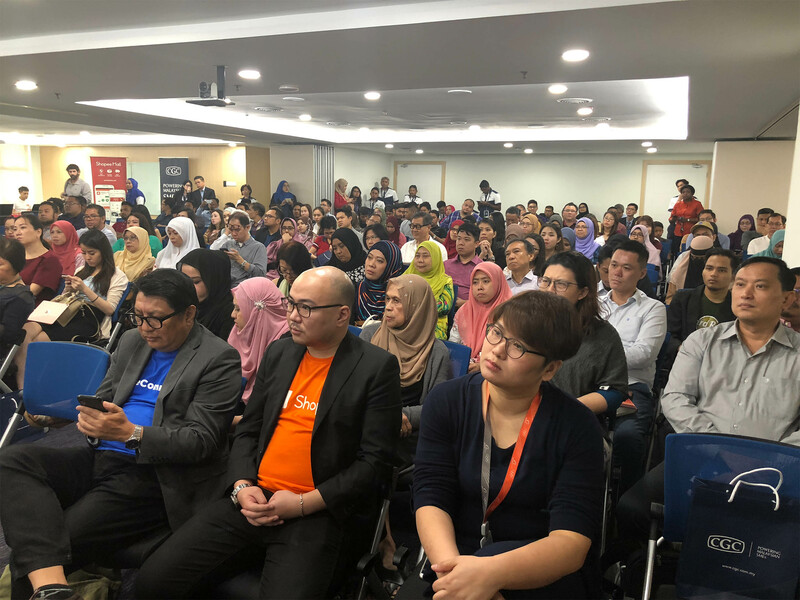 We believe this programme is beneficial to prepare SMEs in embracing technology and scaling up their business,” said President/CEO Datuk Mohd Zamree Mohd Ishak. Participating SMEs had the opportunity to apply for financing/loan application via imSME, Malaysia’s 1st SME Financing/Loan Referral Platform, sign up for online market access with Shoppe and Alibaba, apply e-TRADE grant by Malaysia External Trade Development and free consultation on SME credit scoring by Credit Bureau Malaysia Sdn Bhd. The workshop echoes the recently launched National Policy on Industry 4.0 which calls for SMEs to embrace new skills and technology to propel in changing business landscape. Introduced in 2016, Go Digital Talk is an initiative under the CGC Developmental Programme. The main objective of this developmental programme is to facilitate SMEs through a series of workshops and knowledge-sharing sessions. To-date, CGC has organised 25 Workshops under the CGC Developmental Programme, benefitting over 2000 participants.